If you scroll through Instagram regularly, you have most likely seen pictures and videos of people using green or pink rollers on their face while looking impossibly glowy. Well thankfully, the latest trend in skincare isn't just for Instagram influencers or celebrities. 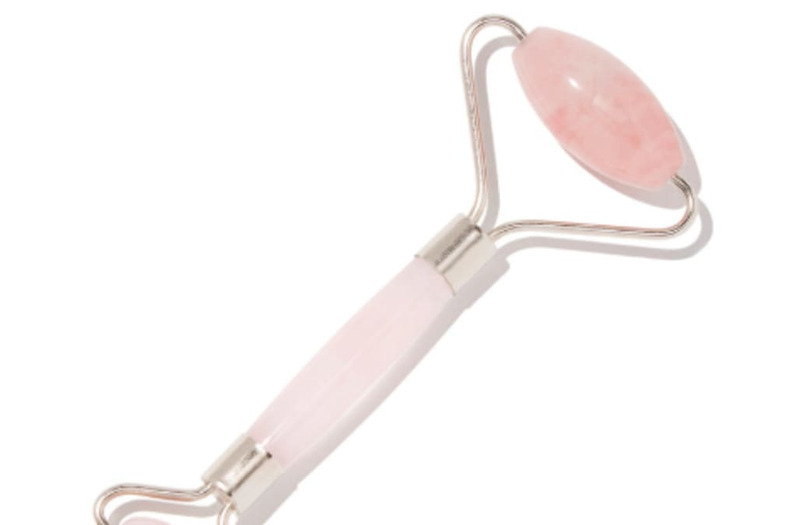 Facial rollers (typically made from green jade or another crystals) have been everywhere lately and for good reason. The easy-to-use tool not only feels amazing on the skin thanks to its natural cooling effect, but it also helps your skincare products to penetrate your skin more deeply. The rollers are used for anti-aging purposes too, as they help to smooth out fine lines and wrinkles. Simply put on your favorite face oil or serum and roll away (preferably in upwards motions). Watch the video above for more on these rollers and shop our favorites!